To secure your spot a deposit of C$750 per person is due at the time of booking! A second payment of $750 is due by 90 days prior to start date! The balance or full payment is due on or before 60 days prior to the journey's start date. Please contact us after that date to check on availability. A) To secure your requested dates, a deposit of C$750 is required. If you are booking a trip within 6 weeks of your actual departure, the full price of the trip is required. B) Upon receipt of deposit or full payment, you will be sent a written confirmation via email confirming the receipt of payment. C) Along with the written confirmation, you will receive via email a standard participation waiver which must be signed and dated and given to us upon your arrival in Brazil. D) The balance of the cost of the trip must be paid in full no later than 6 weeks prior to your scheduled departure. Clients who do not pay in full as required, may be treated as a cancelled trip. E) Funds are non-refundable in the event of early departure from the trip by the client. F) No allowance or refund will be given for meals, accommodation, transport, etc. when not taken by the client, nor will any refund be given if a client chooses or is unable to participate in any activities. G) Paid trips and deposits are transferable to another person, but you must contact us directly before the trip for specific details. Once you have reserved and paid for your trip, we will make every effort to provide you with the booked arrangements. However, moveNBfree reserves the right to alter or cancel the trip due to circumstances beyond our control including but not limited to: extreme adverse local weather conditions, natural disasters, civil strikes or war, terrorist activity, fire, drought conditions, or any significant circumstances that we feel would compromise the safety of our guests and staff. 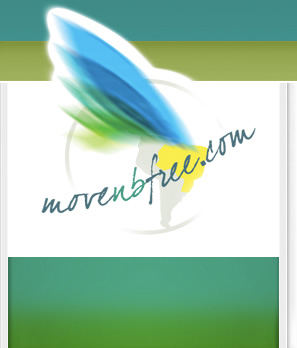 If moveNBfree needs to cancel the trip you will be given a full refund of the amount already paid to moveNBfree. NOT INCLUDED IN COST OF TRIP: airfare, travel insurance, excess baggage charges, taxes, tipping for services, items of personal nature, any hotel or food expenses incurred before or after specified trip dates, any other costs for items not specified in inclusions. We cannot accept responsibility for adverse weather conditions. Weather is unpredictable by nature. Since our groups are fairly small, this gives us good flexibility to modify our schedule based on current and predicted weather patterns and forecasts. Guests are expected to arrive at Ilheus airport. Transfers are valid only between Ilheus and Itacaré. Guests arriving at another airport are expected to make their own arrangements to arrive in Itacaré by plane, bus or other means (but we can help you plan this). Please email us a copy of your travel itinerary at your earliest convenience.